Are you looking for future insights? Insights in the changing Zeitgeist and consumer trends? 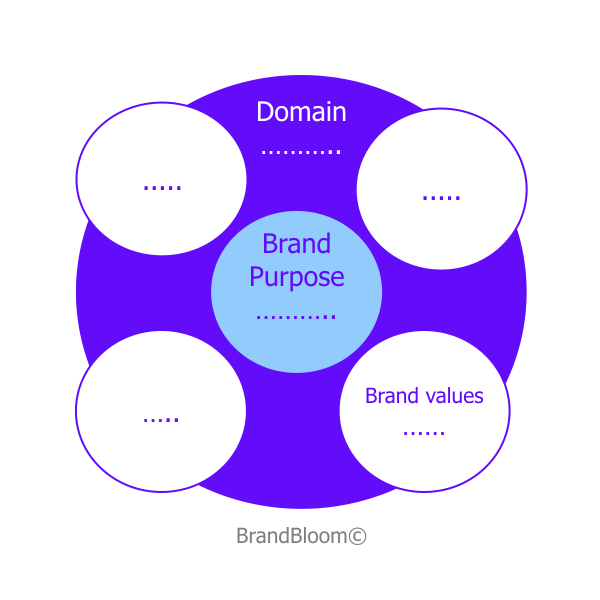 And what it means for your brand? Do you want to keep your brand relevant in a changing Zeitgeist? Looking for a relevant and distinctive BrandDNA? Do you want to translate trends into Renovation & Innovation and into Activation & Communication? Looking for Trend-driven Innovation? Concepts which are based on consumer needs and trends? Do you need advice how to keep your brand or organization relevant in a changing world? 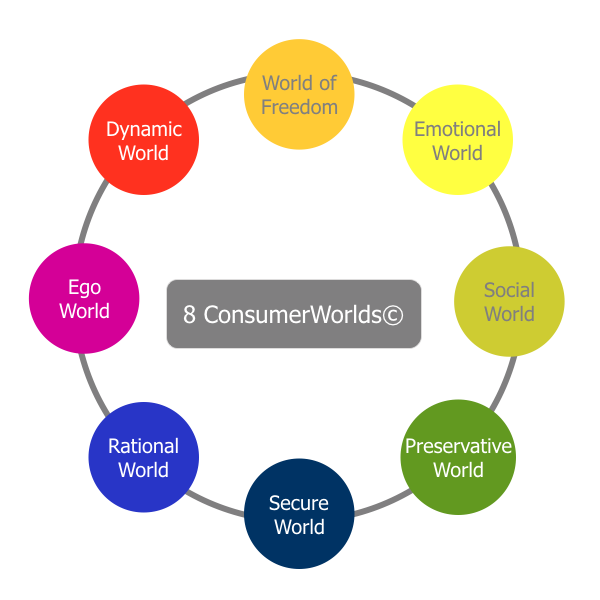 De needs of people, consumers or citizens can be reduced to 8 core needs, translated into these 8 ConsumerWorlds©. Based on each world you can build concepts or brands. 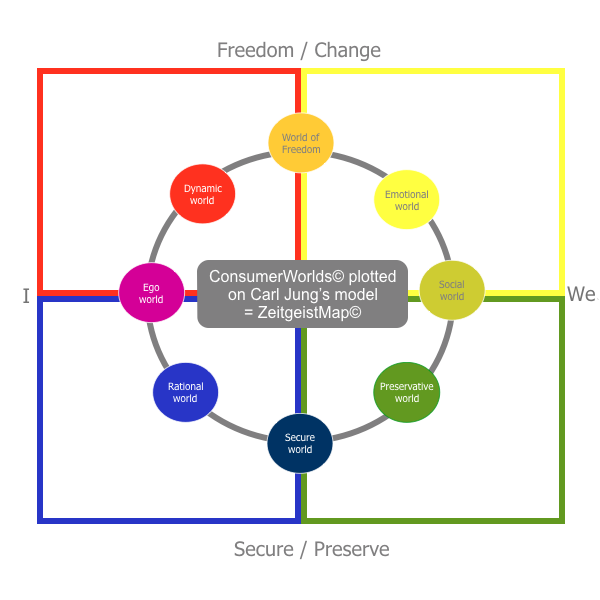 The 8 ConsumerWorlds are plotted on a map developed by Carl Jung. We can show you how the Zeitgeist is changing on this map, from the fifties towards 2025. The change indicates which consumer needs will become dominant and dominant needs determine the trends. 1. What is our domain? Since 2003 we’ve been working for over 50 national and international brands and companies. See them all.